Old Mrs Badger climbs the hill every Sunday, right to the top. One day she helps Leo, a young cat, to climb with her. 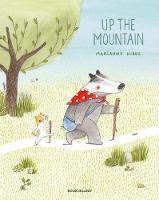 When Mr Badger gets too old to climb, who will climb with Leo? A gentle book about friendship from the author/illustrator of the wonderful The Lion and the Bird and the 'Mr Postmouse' books. >> "I wrote this book for my grandmother." 878 Buildings, 798 Architects, 102 Countries, 9 World Regions, 1 Style. A stunning oversize volume of the best examples of brutalist construction around the world. How do architects get their ideas down on paper? 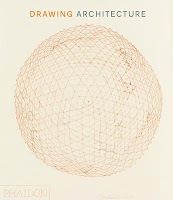 A beautifully presented collection of 250 outstanding architectural drawings, sketches and concepts, spanning continents and centuries. A gentle yet urgent novel looking at the price of progress to Korean society, as a prominent architect is forced to re-examine his life after receiving a message from a woman he had loved - and betrayed - many years previously. Swallows and Amazons in New Zealand's Bay of Islands! Two generations of children have (actually!) lived aboard an old sugar barge in the Bay of Islands. This exciting adventure story is packed with interesting details and an eco-positive message (as are all of Tucker's 'Ransomy' quartet). In 1857, after two years of writing The Life of Charlotte Bronte, Elizabeth Gaskell fled England for Rome on the eve of publication. The project had become so fraught with criticism, with different truths and different lies, that Mrs Gaskell couldn't stand it any more. She threw her book out into the world and disappeared to Italy with her two eldest daughters. In Rome she found excitement, inspiration, and love: a group of artists and writers who would become lifelong friends, and a man - Charles Norton - who would become the love of Mrs Gaskell's life, though they would never be together. In 2013, Nell Stevens is embarking on her Ph.D. - about the community of artists and writers living in Rome in the mid-nineteenth century - and falling drastically in love with a man who lives in another city. Very enjoyable. The first full biography of this pivotal artist, educator and theorist, from his Bauhaus beginnings through his Black Mountain College years to Yale. Is colour more important than form? A personal interpretation of France under two occupations, 1914-1918 and 1940-1944. Cobb provides interesting insights into both resistance and collaboration, including the effect of regional populism. How can journalism respond to the forces of social media, 'fake news' and resurgent populism? Zenobia was once a great warrior queen of Syria whose reign reached from Egypt to Turkey. She was courageous. No-one gave her orders. Once she even went to war against the emperor of Rome. When things feel overwhelming for Amina, her mother reminds her to think of Zenobia and be strong. Amina is a Syrian girl caught up in a war that reaches her village. To escape the war she boards a small boat crammed with other refugees. The boat is rickety and the turbulent seas send Amina overboard. In the dark water Amina remembers playing hide and seek with her mother and making dolmas and the journey she had to undertake with her uncle to escape. And she thinks of the brave warrior Zenobia. Gathering his poems from the early, nature-focused work to the later poetry's widening of the scope to take in painting, travel, urban life, and the impositions of technology on the natural world, and stirred throughout by the poet's love of music, The Half-Finished Heaven is an excellent selection of Transtromer's work. 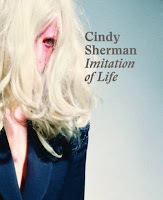 Known for slipping seamlessly behind the rotating masks of fairy tale characters, centerfold models, historical figures, and clowns, Cindy Sherman tackles popular tropes in her photographs and dismantles the stereotypes surrounding the roles she embodies. An excellent survey. Includes the text of Sherman in conversation with Sophia Coppola. Moving into Boulder House - a huge, rambling edifice constructed in the Californian desert from giant boulders to withstand a Russian invasion - Hirst, his girlfriend and their dog were hurled into a world that few ever get to experience up close. The weird and wonderful cast of characters they encountered could only have been found in one of the last outposts of America's 'Wild' West. A stunning comprehensive survey of the revolutionary aesthetic, in all media and from a vast range of practitioners. 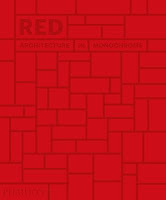 Packed full of ideas from around the world, all of them red. >>And some architecture is black. Amaral's exquisite colourisation of historical photographs gives a particularly vivid picture of the photographed century from Queen Victoria and the American Civil War to the Cuban Missile Crisis and the Space Race. 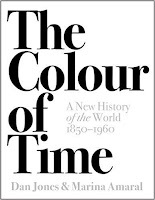 Hobsbawm was attracted by the potential for social revolution in Latin America. After the triumph of Fidel Castro in Cuba in 1959, and even more after the defeat of the American attempt to overthrow him at the Bay of Pigs in April 1961, "there was not an intellectual in Europe or the USA", he wrote, "who was not under the spell of Latin America, a continent apparently bubbling with the lava of social revolutions. The Third World brought the hope of revolution back to the First in the 1960s." When Louisiana Elefante's granny wakes her up in the middle of the night to tell her that the day of reckoning has arrived and they have to leave home immediately, Louisiana isn't overly worried. After all, Granny has many middle-of-the-night ideas. But this time, things are different. This time, Granny intends for them never to return. Separated from her best friends, Raymie and Beverly, Louisiana struggles to oppose the winds of fate (and Granny) and find a way home. But as Louisiana's life becomes entwined with the lives of the people of a small town - including a surly motel owner, a walrus-like minister, and a mysterious boy with a crow on his shoulder - she starts to worry that she is destined only for good-byes. On The Island, just as on many other islands, marriages are unhappy, people fall in love and the seasons pass. The town of Aberdeen is no different, until the earthquakes. These seismic ripples tear down houses, forge bonds, and shake the foundations of society. 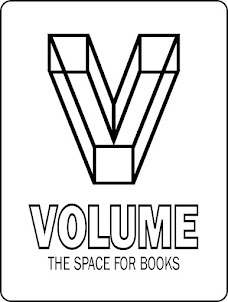 Wilson wrote this novel in response to the Christchurch earthquakes. To what extent can Handel's four decades of astounding creative output be attributed to his status as an immigrant? >>What could be more English? 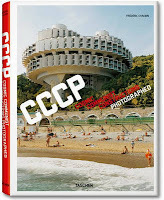 Photographer Frederic Chaubin reveals 90 buildings sited in fourteen former Soviet Republics which express what could be considered as the fourth age of Soviet architecture. They reveal an unexpected rebirth of imagination, an unknown burgeoning that took place from 1970 until 1990. Contrary to the twenties and thirties, no "school" or main trend emerges here. These buildings represent a chaotic impulse brought about by a decaying system. Their diversity announces the end of Soviet Union. Taking advantage of the collapsing monolithic structure, the holes of the widening net, architects revisited all the chronological periods and styles, going back to the roots or freely innovating. A children's visual guide to world cuisine. Fun (and informative). 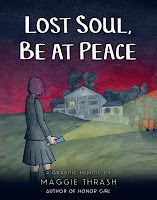 A graphic memoir of teenage depression that is thoughtful, honest and marked by hope.